Reason Analysis: Sometimes when CCBoot server starts, it can not get the server IP you have set in CCBoot. This will lead to such "TFTP open timeout" error. For example, if you have forgotten to plug the network cable, you will get this error. 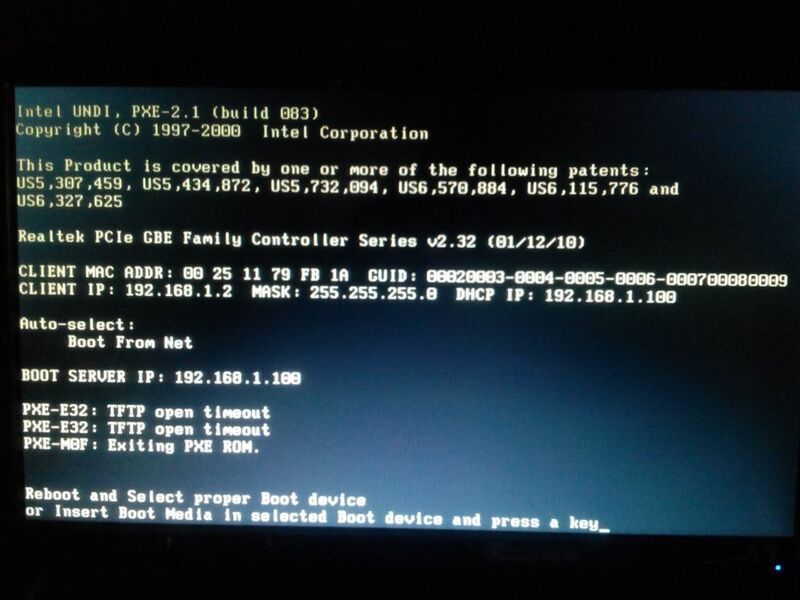 Solution 1: Just restart CCBoot service to fix it. Solution 2: If this problem is about network optimization, please re-enable large send offload. Solution 3: Use 3rd Party TFTP server. Solution 4 Try to downgrade the BIOS and Realtek boot agent version. For example, downgrade Realtek boot agent v.2.32 to v.2.24. Solution 5 Try to disable your routers DHCP and the CCBoot server should only your DHCP provider. Solution 6 If Routers DHCP is not allowed to disable on your network, then try to adjust your routers IP range assignment far from your CCBoot start and End IP range, sometimes this is the cause of TFTP error.